Edifumetto was an Italian publishing house of fumetti, founded by Renzo Barbieri. A recent example of their publication is Biancaneve by Leone Frollo and Necron by Magnus of 1981. Zora, publshed from 1972 late 1985, by Giuseppe Pederiali and Balzano Biraghi, for a total of 235 albums and 12 specials. Sukia by Nicola del Principe, published from 1977 to 1986, for a total of 150 albums. Yra drawn by Leone Frollo, copy Rubino Ventura. Published from 1980 to 1981. Drawn by Nicola del Principe, published from 1977 to 1986, for a total of 150 albums. Translated in Flemish where it was published by uitgeverij de Schorpioen, Ringlaan 19, Strombeek-Bever. Fumetti est le nom donné en Italie aux bandes dessinées. Fumetti signifie fumée en référence à l'aspect des bulles servant à faire parler les personnages. L'Italie fut incontestablement le plus gros pourvoyeur des revues petit format. Si en Italie, le format poche existe (Alan Ford ou Diabolik par exemple), la plupart des revues sont d'abord sorties au format a strisce plus connu sous le nom de format à l'italienne avec une seule bande de dessin qu'il a fallu remonter pour constituer des pages plus classiques. Sandro Angiolini (June 6, 1920 - 1985) was an Italian comics creator. mentioning the pocket size of the publications. Notice that the title of the article is Petit format which literally translated means small size. Federico Fellini's solo-directing debut seems like a pure excursion into the director's extravagant imagination, but its comedy, alternately ethereal and tumultuous, is grounded in reality. A honeymooning clerk (Leopoldo Trieste) and his big-eyed bride (Brunella Bovo) make a package-tour pilgrimage to Rome to have an audience with the Pope. There are bureaucratic delays, and the couple become separated. The still-virginal husband falls in with prostitutes (including Giulietta Masina's Cabiria, later canonized in Fellini's most enduring masterpiece). 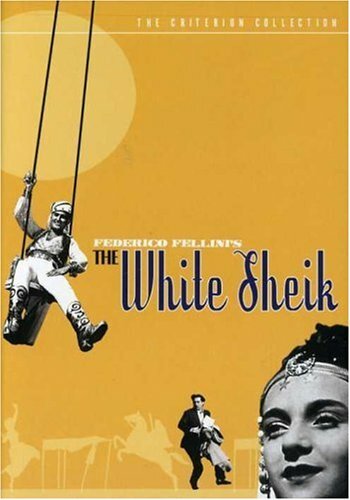 The bride finds herself in the world of her favorite fantasy-figure, "the White Sheik"--the hero of the photographic comic books, or fumetti, eagerly followed by the Italian populace. It was Michelangelo Antonioni who proposed the fumetti as a ripe film subject, and the film's central episode--dominated by Alberto Sordi's preposterous fantasy-figure and the Mack Sennett-like production methods of the fumetti company--is the first tour de force of Fellini's spectacular career. --Richard T. Jameson --This text refers to the VHS Tape edition.